In November I attended an art retreat, surrounded by 900 olive trees! 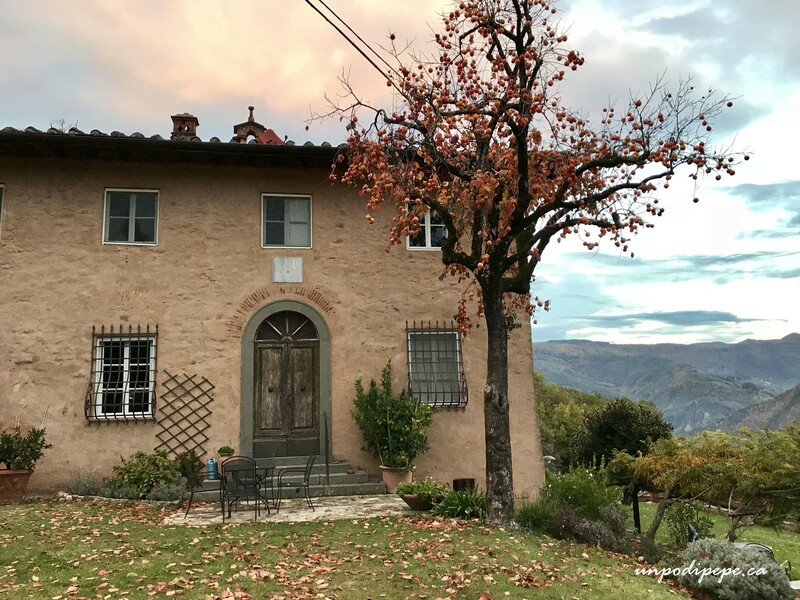 It was at Casa Berti near Gugliano, about 40 minutes outside of Lucca. 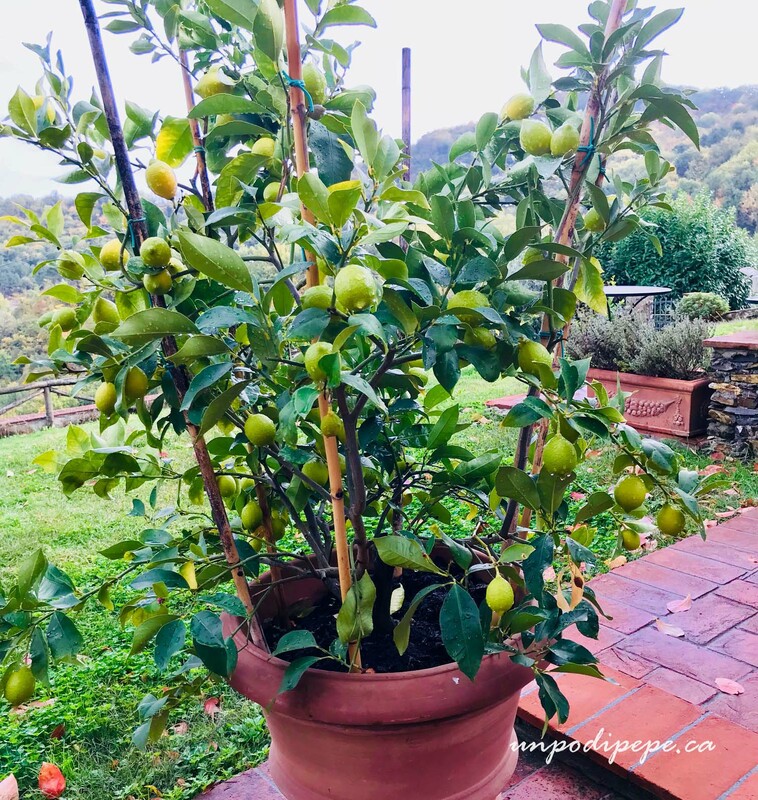 There were also lemon trees in giant terra cotta pots on the terrace, not yet ready to be moved into the limonaia for the winter. Many of the lemons become limoncello. I was so inspired and distracted by the olive trees that I took several breaks from art making to pick olives. I could not help it-they were calling to me! 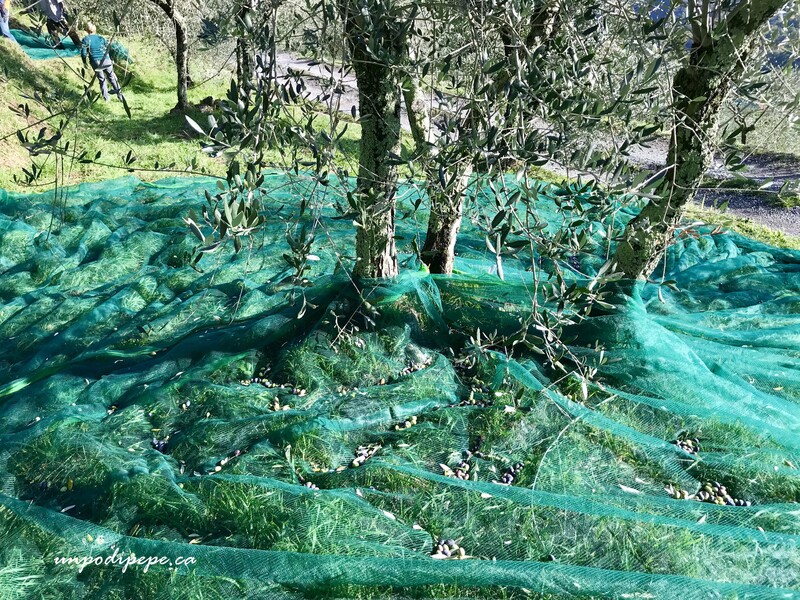 Every day or two, when there were enough picked, they would be taken to the frantoio or olive press and then return to Casa Berti as lush, fragrant oil. Green gold as a friend calls it. The Casa Berti cucina had a stainless steel bidone full of new oil with a little spout for pouring. 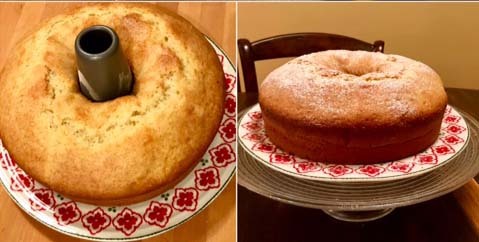 Being surrounded by olives, freshly pressed oil, fresh lemons and limoncello, I had the urge to make an olive oil limoncello cake. 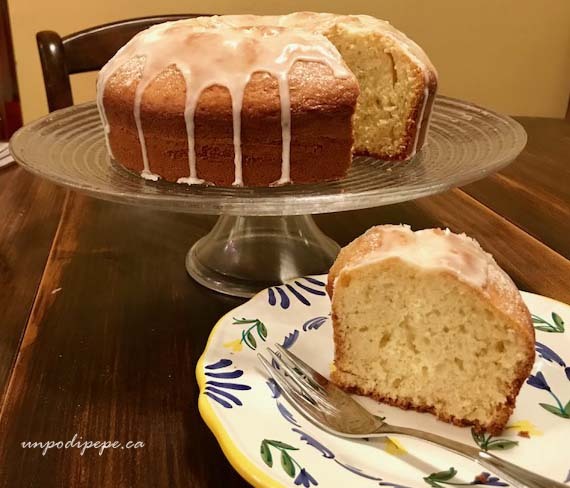 I have been making this cake for years, but I did not have the recipe with me. I also left my art making to bake just when Ben, the owner of Casa Berti, had gone on another run to the frantoio with olives. I searched the kitchen but could not find any measuring utensils or a scale, so the measurements were all a big guess. ??? Luckily I knew where the limoncello was! The cake came out better than usual, probably due to the quality and freshness of the ingredients. I usually just dust it simply with zucchero in polvere-icing sugar. For a fancier look, make a limoncello glaze with icing sugar and limoncello. The cake is also nice with fresh fruit, especially raspberries or blueberries. It goes equally well with a cup of espresso or a glass of limoncello and is also very easy to make-you don’t even need a mixer-just a wooden spoon and a whisk. 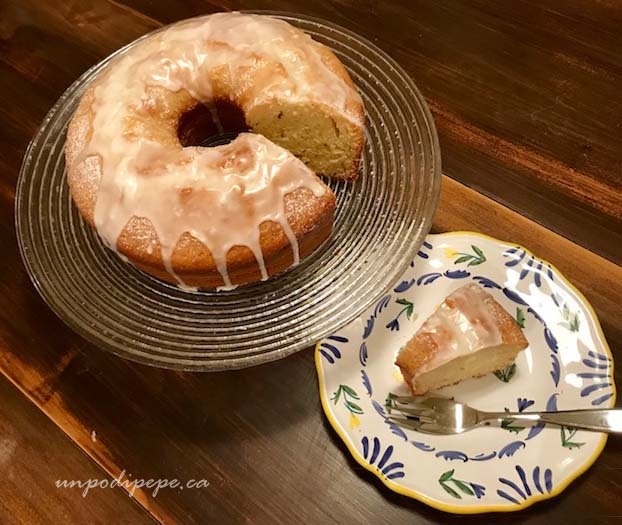 I adjusted some of the amounts to the recipe based on the Casa Berti cake, but if your measurements are not exact, non ti preoccupare, it will probably still taste good! For a fancier topping, make a limoncello glaze with 1 cup icing sugar and 30 ml (2 tablespoons) limoncello. If it is too dry, add another 15 ml (1 tablespoon) limoncello or milk. Mix together and drizzle onto cake.